We are all familiar with denim jeans. What about denim? Denim is a rather distant thing to us. We are very used to it, but we know just very little about it. 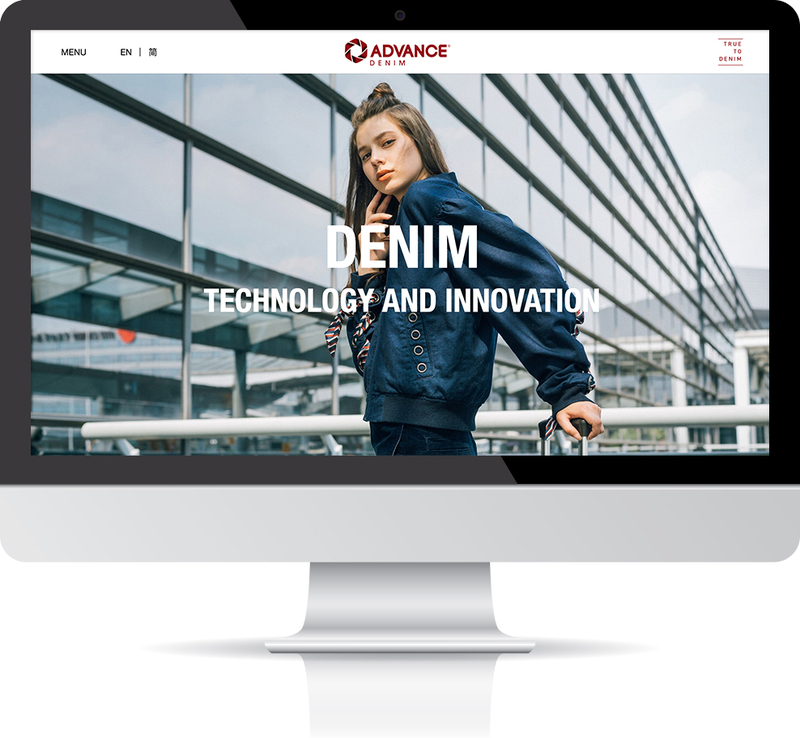 Our latest client is an experienced denim manufacturer, who focuses on putting the greatest and latest technology into denim manufacturing and produces denim that fits our specific needs, such as water resistance and high comfortability. 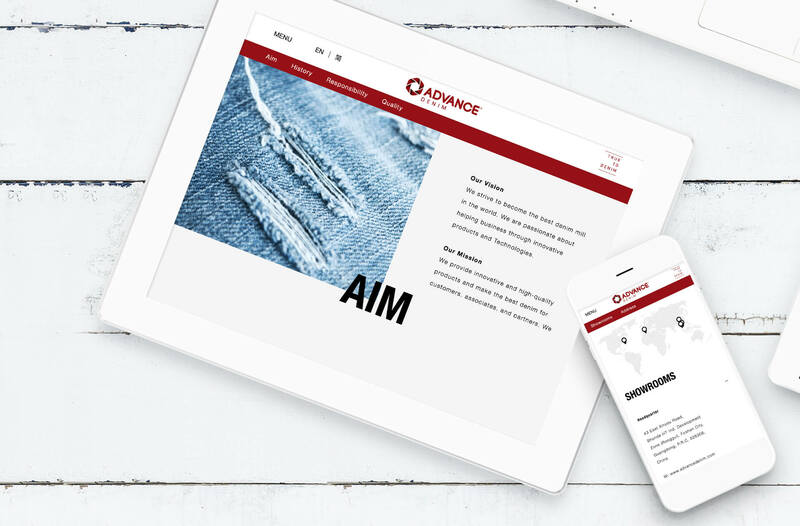 This client needs a site that signals their advanced image and design sense. To match with the client’s image, we design a website with horizontal layout. This means when scrolling inside this site, more content shows on the right side, not on the below. 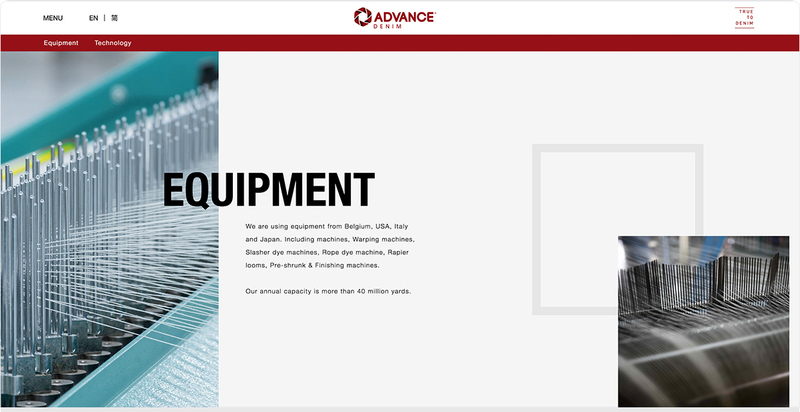 This design is uncommon in web design field, especially for traditional industry manufacturers. This site is going to break the users’ expectation about industry site, because what they expect usually are informative sites, not a fashionable site like this. 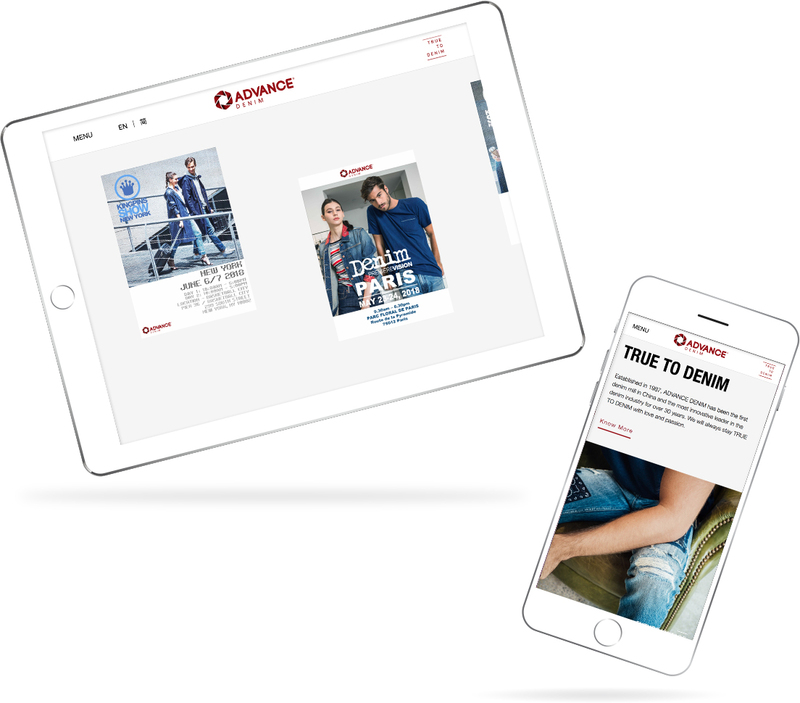 Apart from horizontal layout, we also animate the page when users scroll. This means the texts, images and patterns show up for viewing only when users are ready to see. In this way, users get more interactive feeling and are more immersive when browsing the site. Finally, we create a full page product grid to features their product categories. We show each category in a large image. 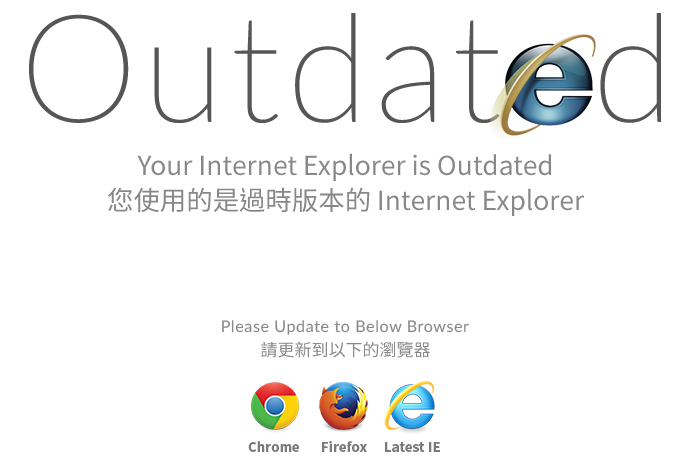 These images show the major features of the specific category and appeal to the users.